SS501 ASIAN FANS SITE: Jung Min Is Obviously Having Fun In Facebook! Jung Min Is Obviously Having Fun In Facebook! My Twitter dashboard was flooded with tweets from Jung Min tonight! 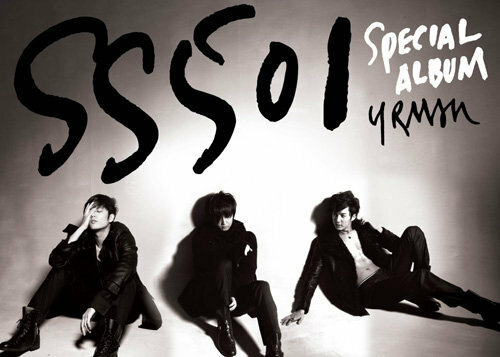 Normally, I don't like flooding, but as long as it's from one of the SS501 members, I don't mind one bit! Kekeke. 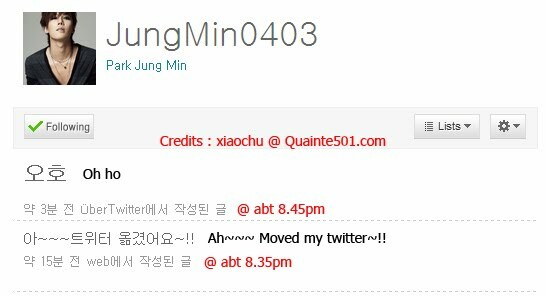 He said he moved his Twitter from @royalavenue to @JungMin0403. And apparently, Jung Minnie is having fun in Facebook! He did these tweets from Facebook. It's just a great feeling typing away in your computer, knowing that at the other side of the world, Jung Min is also in front of his computer typing away. Kekeke. I think it's safe to say that we can hear more from Jung Min through his Facebook and Twitter. So better add him and follow him now if you haven't done so already. Thanks xiaochu for translating!